Deputy Education Minister reminds Lapid that he agreed not to impose criminal sanctions on hareidi draft evaders. 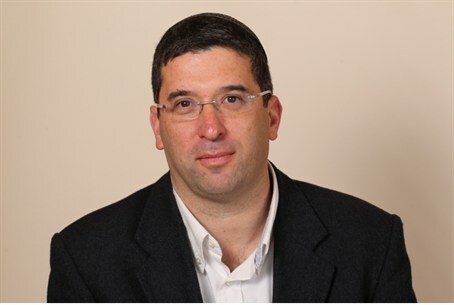 Deputy Education Minister MK Avi Wortzman (Jewish Home) spoke out on Sunday against the Supreme Court’s ruling from last week, which ordered the government to halt funding to yeshivas whose students' army enlistment was deferred. Speaking to Arutz Sheva, Wortzman also criticized Finance Minister Yair Lapid’s threats to bolt the coalition unless the new draft law includes criminal penalties for hareidi draft evaders. Wortzman reminded that Lapid signed a coalition agreement which stipulates that there will be no criminal sanctions. "I was surprised by the timing," he said, referring to the Supreme Court’s decision, which came just days before the Shaked Committee, headed by MK Ayelet Shaked of the Jewish Home party, starts voting on the new draft law. That voting is set to begin on Monday and the law is supposed to pass by mid-March. "I respect the Supreme Court but what was so urgent for it to intervene and halt funding, a month before the law is passed and when the Shaked Committee is set to start voting tomorrow? The Knesset set the date of mid-March to end the process, what was so urgent?” added Wortzman. He continued to dismiss the notion that hareidim could be forced to enlist, saying that everything should be done through dialogue. Wortzman criticized Lapid and the other members of Yesh Atid for their threats to leave the coalition over criminal sanctions, saying, "I do not see how they can talk about leaving the coalition after they themselves signed a document which states the opposite. I don’t get it. There’s a signed agreement and everyone has seen it. Even Yesh Atid is signed on to a commitment that there will be only economic sanctions against evaders. Does anyone really believe that all the hareidim will put on khaki uniforms and change Bnei Brak? It does not work that way." The same comments, he added, apply to Foreign Minister Avigdor Liberman, who also expressed his support last week for criminal sanctions against hareidi draft evaders.